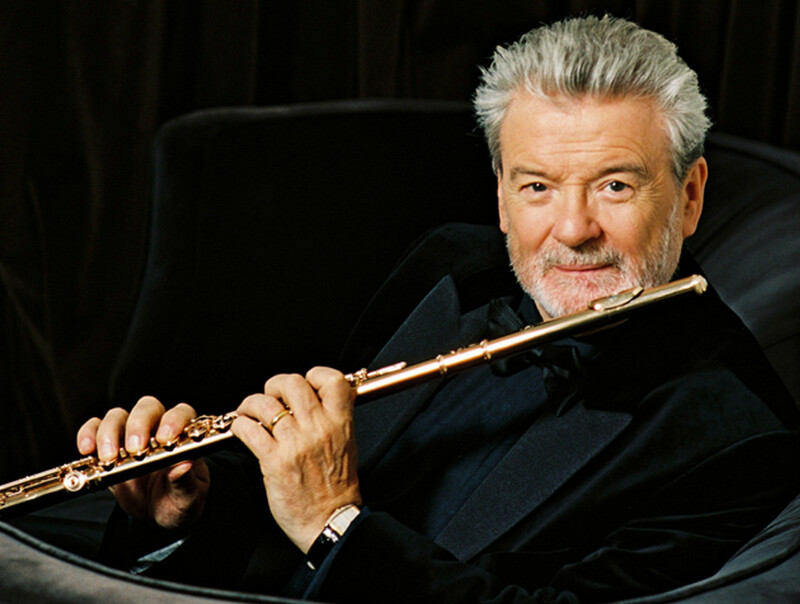 The living legend of the flute, Sir James Galway is regarded as both the supreme interpreter of the classical flute repertoire and a consumate entertainer whose appeal crosses all musical boundaries. Sir James, who is giving a recital in Sherborne Abbey on Saturday 3rd May, is one of Britain’s best-loved musicians, an internationally renowned virtuoso whose career has taken him from concert platforms around the world, including six years as principal flute with the Berlin Philharmonic Orchestra under Herbert von Karajan, to recording with Ireland’s leading folk band, The Chieftains, and playing in The Wall – Live in Berlin, with Roger Waters of Pink Floyd. He also recorded music from the sound-track of the Lord of the Rings film trilogy.